Berberine has been shown in research to work along a number of quite separate pathways against cancer; it reduces blood sugar levels, it reduces inflammation, boosts immune response and attacks the energy production system (the AMPK pathway) of cancer cells weakening the cancer cells, and helping chemotherapy; it also kills microbes in the gut and cuts blood fats and blood pressure. Indeed, with some oncologists starting to use diabetes drug metformin in the fight against cancer because it cuts blood sugar and also affects the AMPK pathway, it is important to note that Berberine does eveything metformin does, and more! Berberine is an isoquinoline alkaloid component of many medicinal herbs, such as Goldenseal (Hydrastis Canadensis), Chinese Isatis (Isatis tinctoria), Oregan grape root (Berberis aquifolium) and berberry bark. "Berberine has an action against some pathogens that is actually stronger that that of antibiotics commonly used. It has been found to inhibit candida albicans and prevents the overgrowth of yeasts, a common side effect of antibiotic use. This fascinating alkaloid increases blood supply to the spleen and thus increases immune response. It has also been shown to activate macrophages in a number of ways. Coupled with its ability to inhibit tumour formation, it seems Berberine possesses some anti-neoplasic activity." * Berberine can reduce blood pressure. Research showed that taking 0.9 gm a day could make amlodipine work better. * Berberine can reduce blood lipids - not just cholesterol and especially LDL, but triglycerides too. 1,000 mg a day for 3 months was the research dose. The blood sugar lowering drug metformin has no such benefits. * Berberine has anti-inflammatory benefits through its ability to inhibit Cox-2 expression. Several studies show this attribute in vitro and in vivo (1, 2). This is one of the major reasons behind its inhibitory benefits against cancer. Metformin does not exhibit this benefit. * Berberine also has anti-infectious benefits. For example, against the recurrence of Clostridium difficile(3), and it has also been shown to attack the membrane of Candida albicans(4) - common yeast. * Crucially, it changes the way cells metabolise their fuel - it works on the ’metabolic master switch’, an enzyme inside all cells called 'AMP-activated protein kinase', or AMPK, which is involved in a great many biochemical pathways. In cancer cells there is a marked decline in this enzyme. Berberine seems to preserve the integrity of the enzyme and even turn it back on, encouraging the re-start of normal aerobic mitochondrial activity(7). * As a result Berberine is known to reduce blood sugar levels. But this action is completely independent of insulin. Its hypoglycaemic effect is caused by this inhibition of mitochondrial activity and the stimulation of the AMPK pathway. These actions make it useful in both diabetes and cancer treatments. * Berberine reduces glucose production in the liver and performs at least as well as metformin, the type-2 diabetes drug (see here). In fact, Berberine is as powerful as both the pharmaceutical drugs, metformin and glibenclamide in controling blood glucose levels. It has also been used in weight loss programmes. * Berberine can act on its own, but because it attacks and weakens cancer cells, it can also improve the effectiveness of chemotherapy by enhancing chemosensitivity(5). Berberine also improves radiotherapy by enhancing radio sensitisation of cancer cells(6). * Most importantly, it helps drugs work longer by helping overcome cancer cell resistance. For example, it reduces the build up of resistence to Lapatinib in HER2 breast cancer (13). It truly has multiple actions. 1. Berberine and Colorectal Cancer - Berberine has a number of important actions. Its ability to reduce blood sugar levels. A strong anti-inflammatory action against Cox-2. And it has a number of strong digestive benefits and the ability to kill yeasts and pathogens. Combined these give it a strong influence in colorectal cancer where it can limit invasion and metastases(8). A 2017 study showed that Berberine could inhibit the metastases and invasion of colorectal cancer cells both in vivo and in vitro in three ways - by restricting Cox-2, by reducing phosphorylation and by restricting MMP expression(10). 2. Berberine and breast cancer - a 2016 study on breast cancer cells showed that berberine and curcumin worked in combination to cause apoptosis (cancer cell death) and autophagic cell death(9). Berberine prevents cell growth and induces apoptosis in breast cancer cells (Kim JB et al 2010; Patil JB et al, 2010); In 2016, a study by Lanzhou University Medical School in China showed that because Berberine could turn the AMPK enzyme back on, Berberine could correct breast cancer cells. 3. Berberine and Brain Cancer (GBM) - Berberine inhibits gene expression and enzyme activity necessary for glioblastoma and astrocytoma growth (Wang DY et al, 2002). This is not the first time it has shown effect with brain tumours. One study showed it might be a useful adjunct in PDT - in vitro experiments showed using berberine alone, or in combination with laser treatments, on glioma cells were both effective (Chen KT et al, 1994). In 2004 it was shown to be a sensitizer of glioma cells where it increased the success of radiotherapy in brain tumours (Wallace J et al, 2004). A 2008 study explained that berberine triggers apoptosis in glioblastoma cells through the mitochondrial caspases pathway (Eom KS et al 2008). In 2009, research reported that berberine kills glioma cells through several mechanisms: “Cytotoxicity is attributable to apoptosis mainly through induced G2/M-arrested cells, in an ER-dependent manner, via a mitochondria-dependent caspase pathway regulated by Bax and Bcl-2” (Chen TC et al 2009). A 2015 study showed that it aided the action of temozolomide against glioma (brain cancer). Indeed part of the study suggested it was also effective in its own right even beating the effects of Temozolomide. 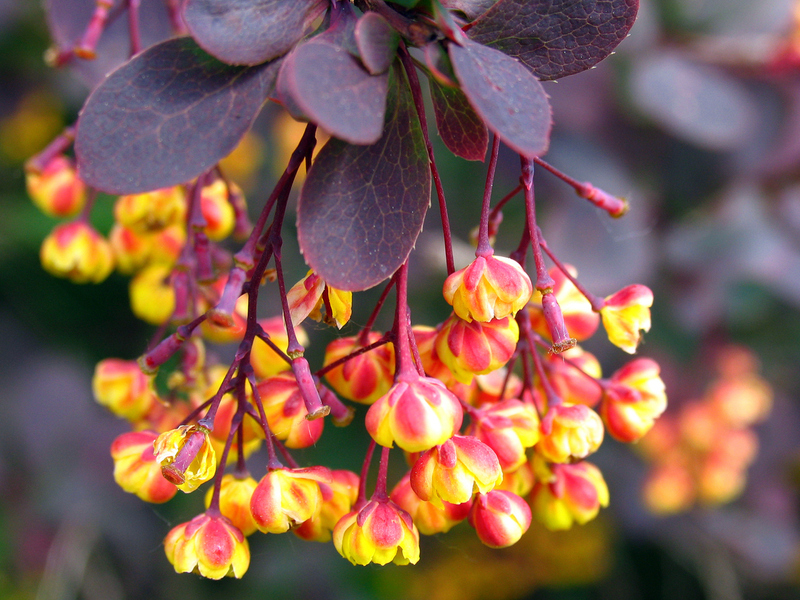 Berberine enhanced the activity of carmustine, a chemo drug often used on brain tumours. Berberine in culture or in rats given cancer tumours, on its own produced a 91% kill rate in cell cultures, compared to 43% for carmustine. When the two were combined the kill rate rose to 97% (Zhang, RX et al, 1990). 4. Berberine and prostate cancer: Berberine has been shown to inhibit metastatic activity in prostate cancer cells. In particular Berberine seems to be one of the few compounds that inhibits the EMT program which causes metastases to bones (14). Neither hormone therapy nor chemotherapy nor radiotherapy has any action on bone metastases in prostate cancer but berberine does show effect. In 2011, a review of the anti-cancer effects of berberine concluded that it was a promising, safe anti-tumour agent with a number of potential therapeutic uses (11). * Berberine sensitizes lung tumor cells to radiation (Peng PL et al 2008, Liu Y et al, 2008). * Berberine inhibits cell growth in pancreatic cancer cells by inducing DNA damage (Pinto-Garcia L et al, 2010). * Berberine triggers cellular suicide in tongue cancer (Ho YT et al 2009). Yet more ways Berberine works against cancer? * Berberine inhibits an enzyme called arylamine N-acetyltransferase (NAT) that is thought to initiate cancer (Hung CF et al, 2000). * In 2007 there were conclusions that berberine acts “through several ways, such as regulating apoptotic gene expression, suppressing the formation of tumor angiogenesis [and blocking signal transduction pathway” (Yang J et al 2007). * In 2010 showed that Berberine could inhibit NF-KappaB and other compounds that help cancer cells survive by slowing apoptosis (Pazhang Y et al 2010). "If you are thinking of supplementing with this product you may like to see what Natural Selection has to offer by clicking here." Berberine seems to have so many benefits against cancer, well beyond its sugar control. But Metformin also has sugar controlling benefits and acts on AMPK - it is the ’diabetes drug’. For this reason, many users take an either/or approach. That seems to be quite wrong. Actually Berberine and Metformin seem to enhance each other’s activity. For example, there is a study with Non-Small Cell Lung Cancer (NSCLC) showing exactly that (12). They work together in vitro and in vivo against a particularly nasty cancer. Berberine seems to be dose dependent and research indicates that low doses may be totally ineffective, and may even cause problems. The cancer inhibiting doses in research seem to start at 3 x 500 mg a day. Berberine can cause a heavy heart beat and probably should not be taken long-term, although there is little evidence for this warning. Berberine is, however, as powerful as pharmaceutical drugs. There are concerns about long-term usage causing metabolic changes. More work is however needed on this but warnings over long-term use persist.